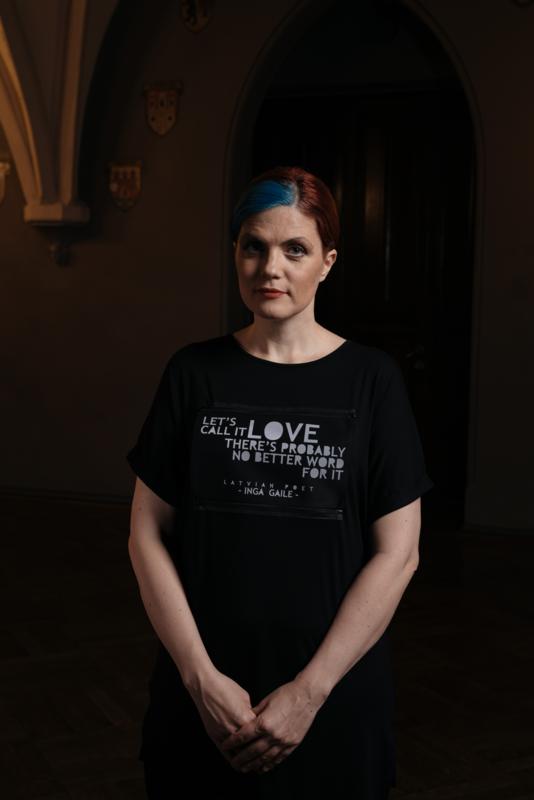 «Latvian Literature» platform in collaboration with actress and fashion designer Madara Botmane has created a new t–shirts collection «#iamintrovert» with quotes in English by ten Latvian writers and poets. 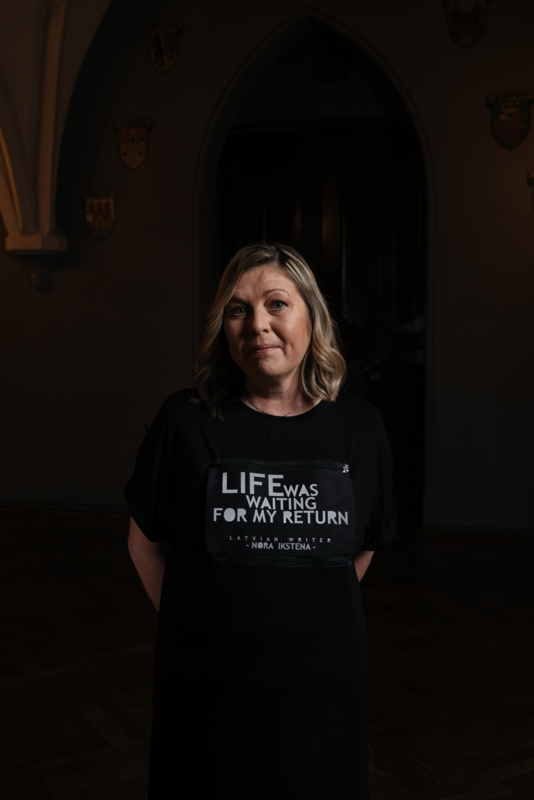 The t–shirts are made to get ready for 2018, when the Baltic countries will celebrate their centenaries and will be special guests at the London Book Fair. 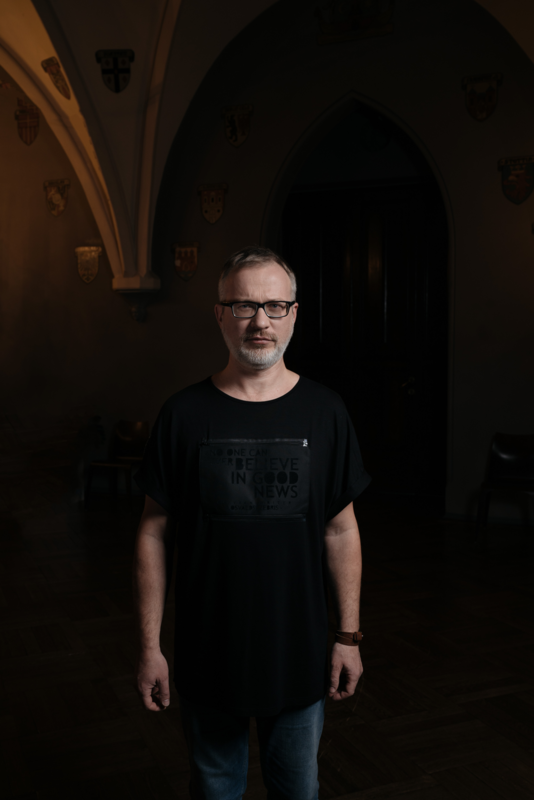 In September, the literature export platform «Latvian Literature» in collaboration with poet and brewer Krišjānis Zeļģis launched a special «#iamintrovert» beer (Malduguns Brewery) within a framework of the publicity campaign that introduces Latvia as a nation of introverts. 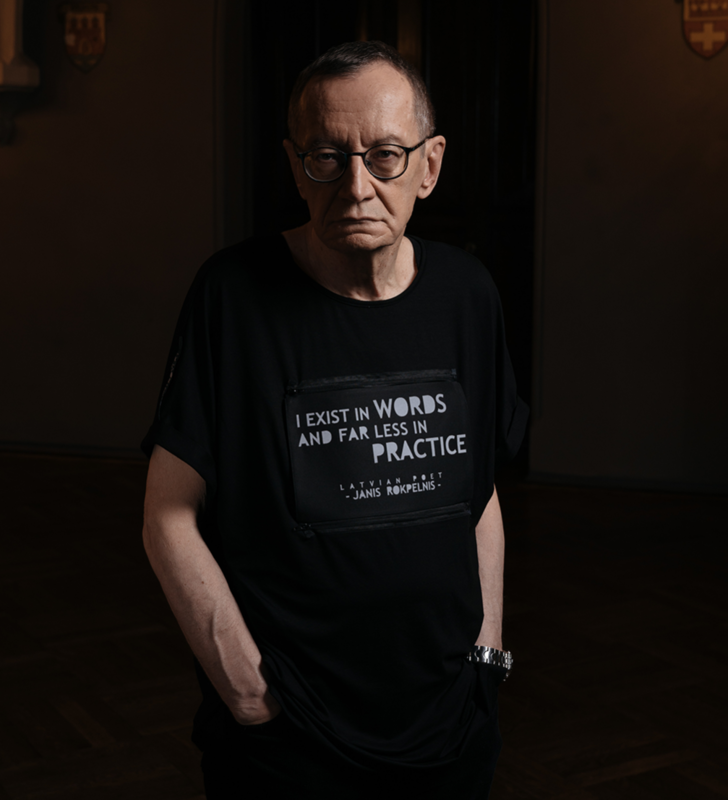 Continuing to draw attention to Latvian literature, the campaign is supplemented by t–shirts, designed by Madara Botmane. 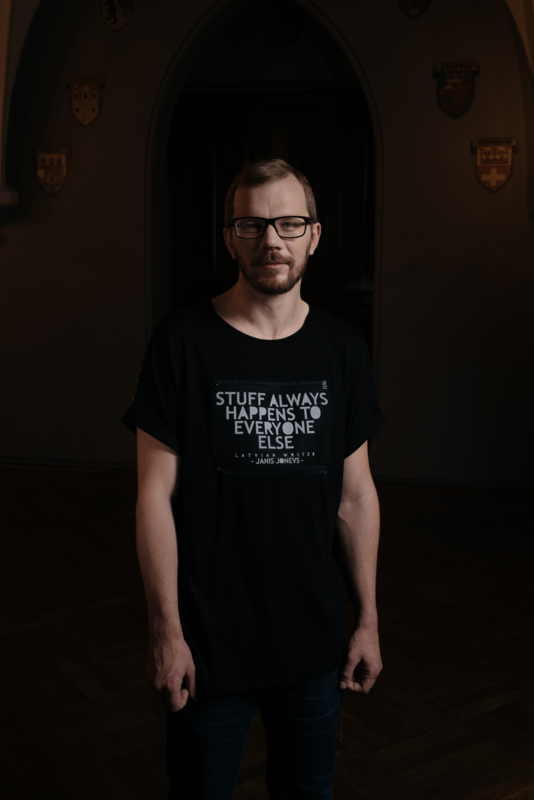 The shirts, that can be worn on both sides, are adorned with various quotes in black and white print. The wearer can change the quotes using a zipper. The shirts come in a long and short version and are suitable for both men and women. 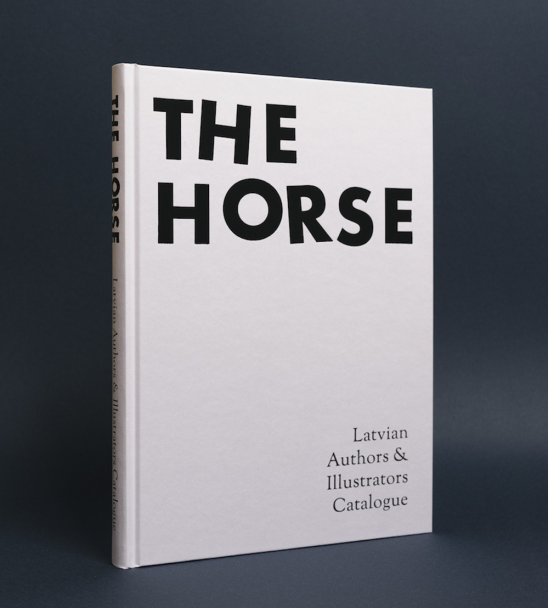 The authors of the printed texts are ten contemporary Latvian writers and poets — Nora Ikstena, Osvalds Zebris, Inga Gaile, Luīze Pastore, Jānis Rokpelnis, Arvis Viguls, Kārlis Vērdiņš, Inga Ābele, Jānis Joņevs and Uldis Bērziņš. 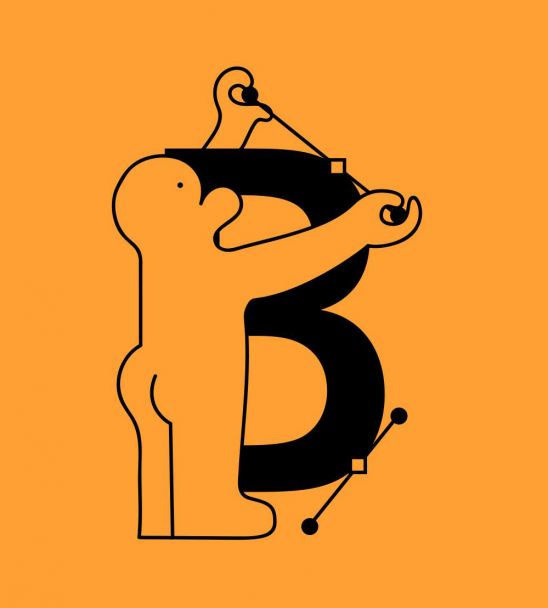 All quotes are in English to emphasize the export capacity of Latvian literature and to encourage its translation in other languages: «While getting ready to the London Book Fair, we have already sold more than 30 Latvian book translation rights to publishers in the Great Britain. 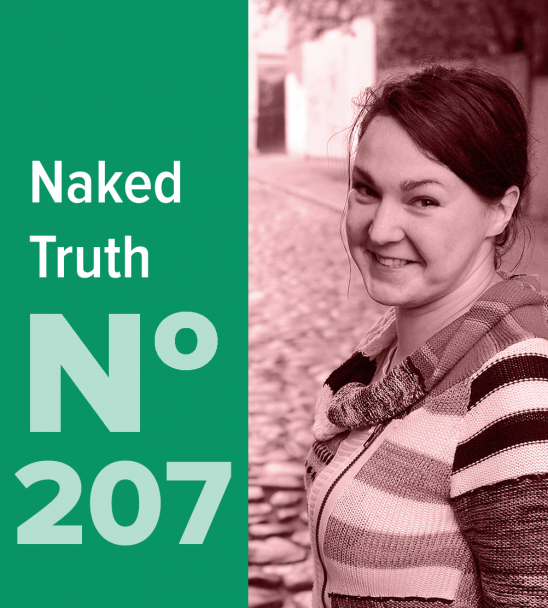 Latvian literature is interesting for foreign publishers but we need to work hard to get noticed. 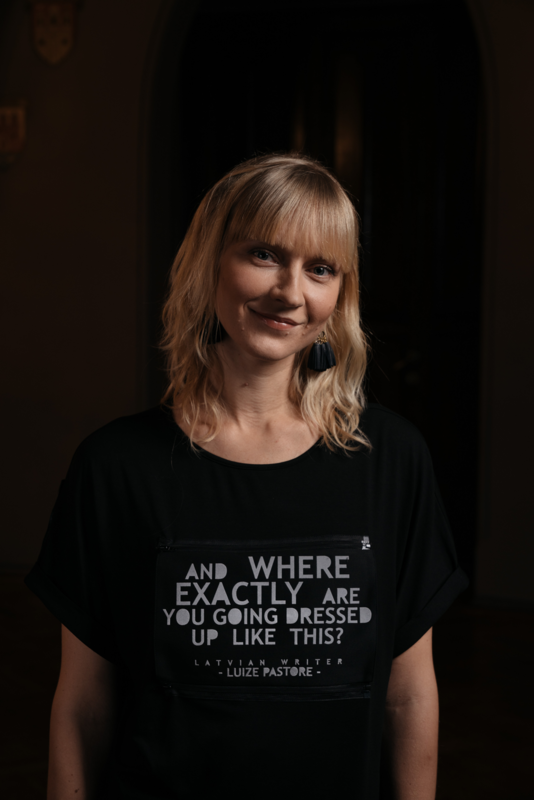 The aim of the «#iamintrovert» campaign is to draw attention to Latvian literature not just abroad but also here in Latvia,» says Inga Bodnarjuka–Mrazauskas, director of the «Latvian Literature» platform. 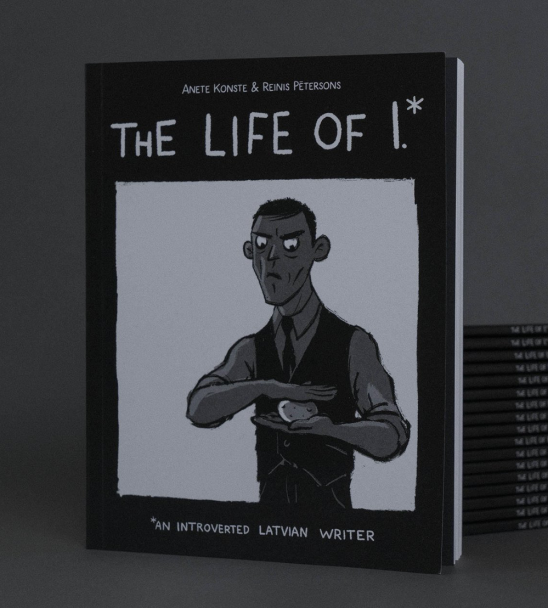 The «#iamintrovert» campaign, which began last year, includes several activities, including a series of video–stories exploring how the world looks through the eyes of an introvert and comic series by artist Reinis Pētersons.